It can carry an industry leading 18 cubic yards of debris and it has a payload capacity of a market-topping 25,000 pounds before Canadian payload laws are exceeded. The increased payload capacity will help save time and money, the length of the Hercules XL will maintain its legal highway capacity. 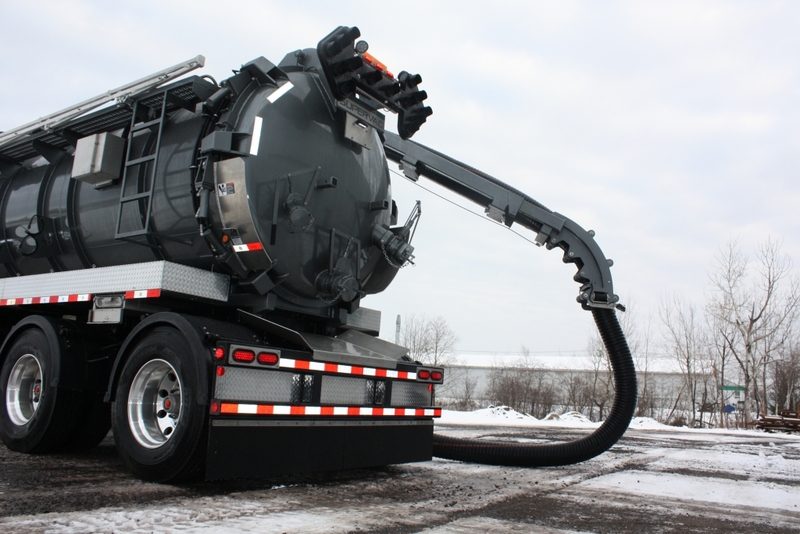 When designing this new unit, the biggest challenge for Supervac’s development team was transferring weight to the front and second axle of the truck. Most hydro excavators tend to shift weight toward the back, which can overload the rear axle and limit payload capacity. On the Hercules XL, much of the equipment was moved to get more of that weight distribution up front. The Boreas and Altas cold-weather package is also available on the Hercules XL. Transfer case drive (hydrostatic pump for blower), 1 PTO for water pump and accessories.